The Senior President of Tribunals and I are pleased to publish the judicial diversity figures for the courts and tribunals judiciary at 1 April 2017. Despite the leadership that has been demonstrated over the last year, progress is not as fast as we would wish. In the period from 1 April 2014 to 1 April 2017, the percentage of female judges has increased from 18% to 24% in the Court of Appeal; 18% to 22% in the High Court and 24% to 28% in the courts judiciary. The percentage of BAME judges has increased from 6% to 7%. It is disappointing that the percentage of non-barristers has decreased from 37% to 34%. In the last four years the proportion of female judges in the tribunals has increased from 43% to 45%, and the percentage of BAME judges has increased from 9% to 10%. The proportion of judges with a non-barrister background in the tribunals has decreased from 67% to 66% between 2015 and 2017. We remain very concerned about the slow recruitment of BAME judges and the downward trend of new non-barrister (solicitors and legal executives) judges, despite the dedicated work undertaken by the Judicial Diversity Committee. The Committee, formed in 2013 and chaired by Lady Justice Hallett, has each year pursued more initiatives to explore what might be done to accelerate progress. It has been strongly supported by judges from all backgrounds across the courts and tribunals in England and Wales. It has worked with the Judicial Appointments Commission, universities and professional bodies to host evening outreach events. The primary purpose of these events is to attract suitably qualified lawyers from groups currently under-represented in the judiciary and to enable them to explore the possibility of a future judicial career. The events provide a panel of varied speakers and an opportunity to meet serving judges. They may sow the seed of wanting to join the judiciary years ahead, when they are ready to apply. Since 2015, we have run increasingly popular application workshops aimed at under-represented groups. These form part of a positive action programme which is intended to help candidates make stronger applications; but once they have completed the programme, they are expected to compete on merit with the other applicants. 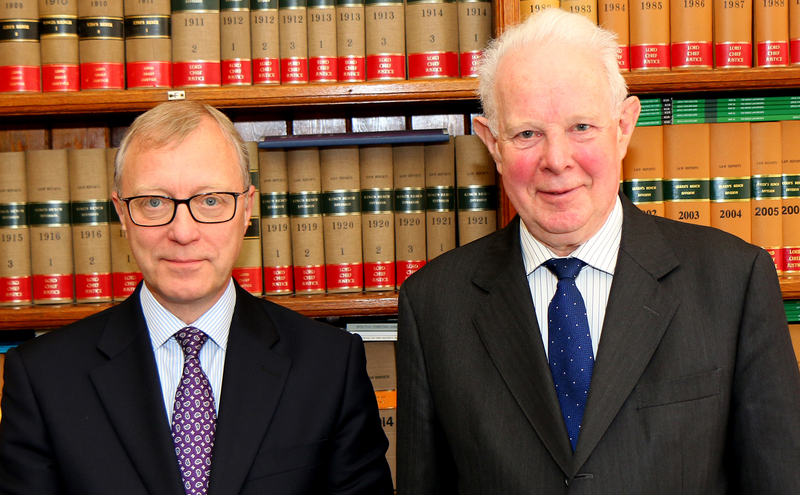 To attract more solicitors and legal academics to the senior judiciary, we have extended the eligibility of the High Court programme this year to those without litigation experience. In April 2017, the Committee published a progress report and an action plan for the next 12 months. We would like to pay tribute to the untiring work of Lady Justice Hallett, the members of the Diversity Committee. In addition, our thanks go to the 100 Diversity & Community Relations Judges, the 165 Judicial Role Models, all of whom give their support willingly and voluntarily, and to the staff of the Judicial Office. We also express our thanks to the Judicial Appointments Commission and the professional bodies for their continuing support. The judicial diversity statistics were published on 20 July 2017 showing the figures as at 1 April 2017. 28% (890) of court judges and 45% (806) of tribunal judges were female. This is consistent with last year. 9 out of 38 Court of Appeal Judges were female (24%). This is comparable to the figures from last year, where 8 out of 39 (21%) were female. 21 out of 97 High Court Judges were female (22%); as at 1 April 2016, 22 out of 106 (21%) were female. Around half of all court judges (49%) and just under two thirds of tribunal judges (62%) aged under 40 were female. 14 out of 66 Deputy High Court Judges (22%) were women. 4 of the 29 Deputy High Court Judges who declared their ethnicity were BAME. The percentage of female court judges was highest in the South East (36%), with the lowest female representation in the South West (21%). 7% of courts (173) and 10% (168) of tribunal judges are BAME; non-legal tribunal members 16% (455). BAME representation was highest among those aged under 40, at 10% for courts and 14% for tribunal judges. Non-legal members of tribunals aged under 40 had considerably higher BAME representation at 38%. London and the Midlands had the highest representation of BAME court judges (9% and 8% respectively), with 1% BAME in Wales. Representation of those with a non-barrister background varied by jurisdiction for both courts and tribunals, with higher proportions of judges in lower courts from a non-barrister background (solicitors and legal executives). There has been a continuing reduction in the number of overall magistrates, reducing from 25,104 as at 1 April 2012 to 16,129 as at 1 April 2017, a 36% reduction across the period. More than half of magistrates were female (54% – 8,712). 11% (1,686) of magistrates declared themselves as BAME. There were very few magistrates aged under 40 (4%, 635) compared with 86% (13,803) of magistrates who were aged over 50. An announcement on the new Court of Appeal appointments is expected in the near future. Twelve vacancies were being held in the High Court as at 1 April 2017 (two judges held one post on a job share basis). under the provisions of s9(4) of the Senior Courts Act 1981. This data has been published for the first this year. Links to the judicial diversity figures for 2017 can be found below. Lord Chancellor (as part of the Constitutional role) – private secretaries (x3), press officer (x3), Director Judicial Policy and Judicial policy (x3). Lord Chief Justice(x2), Senior President of Tribunals (x3), Lady Justice, Chief Executive, Head of HR, Judicial Diversity Team (x2), Head of Appointment and Post-Appointment Manager, press officer (x2) and Head of Corporate Communications.